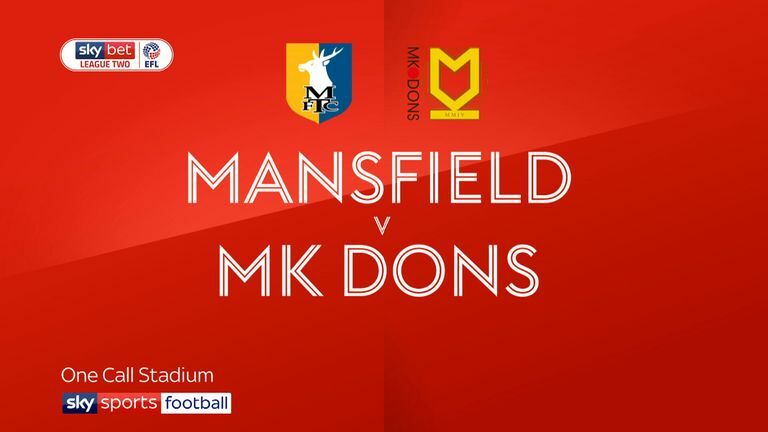 Highlights of the Sky Bet League Two clash between Mansfield and MK Dons. 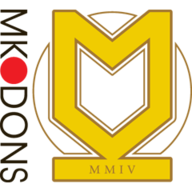 Mansfield and second-placed MK Dons had to settle for a 1-1 draw at Field Mill. In a showdown between League Two's two meanest defences, Jacob Mellis put the hosts ahead before Jordan Houghton equalised. After Tyler Walker had twice gone close, Mansfield were ahead in the 17th minute. A poor Mal Benning free-kick was cleared to Mellis 25 yards from goal and he smashed a powerful half-volley into the net. Chuks Aneke then failed to punish keeper Bobby Olejnik for failing to hold the ball as he shot it straight back to him. But they were level in the 24th minute as Houghton marked his 100th league game with a rising 25-yard piledriver out of nowhere that soared under the right angle. Olejnik also had to parry a Rhys Healey shot from 20 yards and saw Aneke rob Mellis and turn to fire a low finish against a post after 35 minutes. 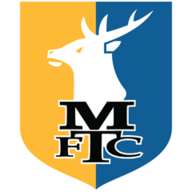 The Stags keeper made more fine saves after the break to keep out shots from Healey and Kieran Agard while substitute Callum Brittain fired a good chance over.